A unique feature of the University of Toronto MD Program is its academy structure. 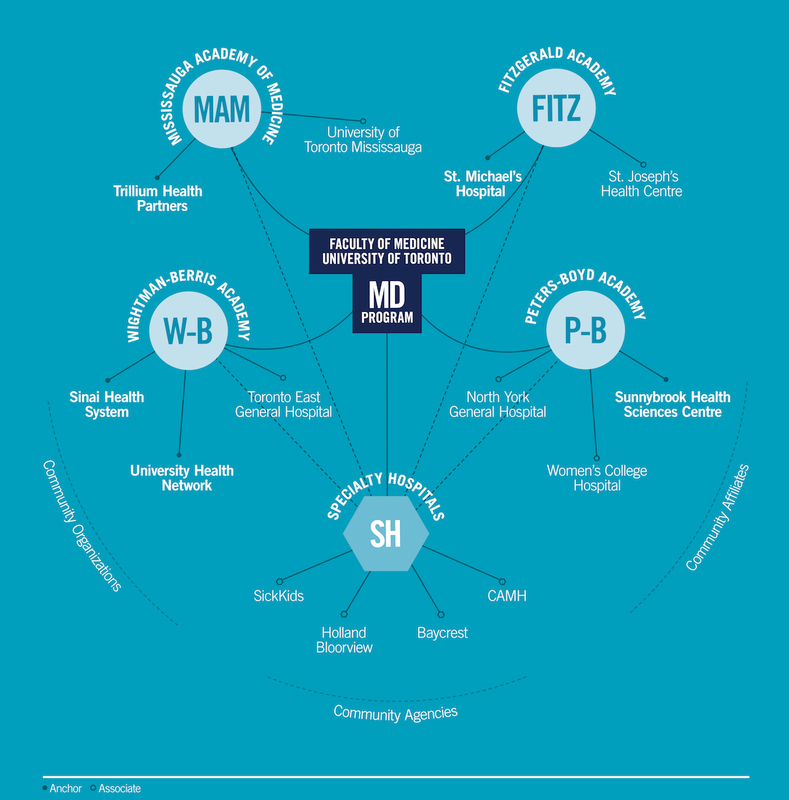 Each of our four academies is comprised of clusters of the University’s affiliated hospitals and health care sites. They offer a unique combination of educational settings based on the strengths of their member hospitals while at the same time maintaining a consistent high standard of curriculum delivery. At the academies, students learn clinical skills, participate in problem-based learning, interprofessional education and conduct research in community-based partner agencies. The academies foster a smaller learning environment within a larger program and provide the hospital-based portions of the curriculum in a supportive, student-focused learning environment.